A completely remodeled 3-bedroom original one-story home that includes a fully permitted upstairs addition. This turn key opportunity awaits in Camarillo Heights. Located on a cul-de-sac, this residence has been freshly painted inside. New flooring offers a move in ready, clean, lovely home.The upstairs addition can be used in a variety of ways at your discretion. The large room can be a second master suite as there is a walk-in closet and fully remodeled bath. A college student private area, quiet study, home office or library, in home child care space, exercise or yoga room or spacious game room. 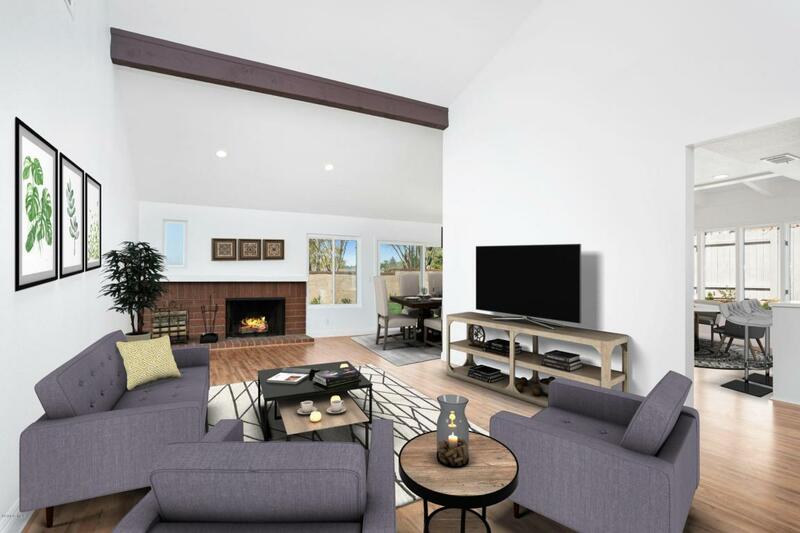 The possibilities are endless!The living room is spacious with canned lighting and a cozy fireplace. The eat in kitchen has a completely transformed breakfast nook that is light and airy to welcome the new day. In the downstairs master suite, you will find untouched Carrera marble, a double vanity, tiled master shower and two his and her closets. The backyard can be accessed from either the living space or master bedroom. Close to parks, shopping and restaurants, this house is a must see!